Standard Grade : Welcome to the VintageSaws.com Online Store! These standard grade saw kits may have handles with more damage to include shortened horns, drilled hang holes and stress cracks. They can also have narrower blades which may be rusty and even mildly pitted. Having said all that, none are to the point that they cannot be perfectly functional tools once they are cleaned, set and sharpened. 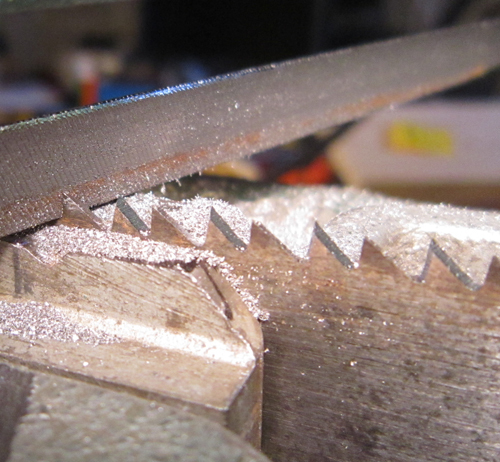 In general, these saws are perfect for what they are intended for, learning to file saw teeth. They can certainly be used in the shop, but may not look as good as their premium counterparts. Disston D8 is 26" long and 6 3/4" high at heel. Currently an 8 point cross cut, this saw needs to be recut with new teeth. Phoenix brand saw is 26" long and 6 3/4" high at heel. Currently an 8 point cross cut, this saw needs cut with new teeth. Craftsman brand (Disston made) saw is 26" long and 6 1/4" high at heel. Currently an 8 point cross cut, this saw is ready to file after jointing. Disston D23 is 26" long and 6 1/8" high at heel. Currently an 8 point cross cut, this saw should be recut with new teeth.